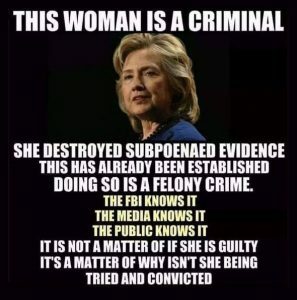 The Department of Justice today released a report that gives details of s. pattern of petty corruption and, in some Cases, criminal Conduct at the highest levels of the Federal Bureau of Investigation. But the report concludes that no prosecutions were possible because virtually all the alleged offenses took place more than five years ago. The examples of official misconduct cited in the report ranged from the use of F.B.I. agents to reset the clocks in the home of the late J. Edgar Hoover, then the bureau’s director, to major improvements at the home of Mr. Hoover and several top assistants, and “improper favoritism” and “conflict of interest” in the selection of a supplier of electronic equipment. Much of the material in the report had been published previously In news accounts and in Congressional testimony, but the version released today was the first official account of an investigation that has been under way for about two years. The few, however, allegedly included officials at the very top of the F.B.I. hierarchy, including some who had imposed strong punishments on generations of bureau agents for lapses that were less serious than those cited in the report. Among those accused of improper conduct were Mr. Hoover and two top lieutenants, Nicholas P. Callahan, who was forced to resign as No. 2 man in the bureau in 1976 because of some of the allegations detailed officially for the first time today, and John P. Mohr, who retired in 1972. Bath were cited in the report as having permitted F.B.I. agents to make improvements and repairs at their homes, and as having diverted bureau funds for unauthorized, but not personal, uses. Mr. Gettings, a former United States Attorney for the District of Columbia, also suggested that the two‐year investigation and the compilation of the report were “a bigger waste of taxpayer money” than anything his client was alleged to have done. The report, which was bound in bright canary‐yellow cover and written in a clear, precise prose style, focused on three major areas of alleged abuses and handled each in a matter-of-fact narrative style. The three areas were the questionable use of the United States Recording Company for purchases of electronic equipment, the questionable receipt of goods and services by F.B.I. officials, and the questionable use of monies in four special funds. No dollar estimate was placed on the value of these goods and services, but they included construction of a front portico on Mr. Hoover’s home and the building of a fishpond, equipped with a water pump and outdoor lights, in the rear, the report said. F.B.I. workers constructed shelves, telephone stands and an “Oriental fruit bowl” for their director, and serviced and repaired home appliances, air conditioners, stereo equipment, ‘ tape. recorders, television sets and electric wiring, it said. They also painted his house each year while he was traveling on his annual tvacation, and built a deck at the rear of the home, it added. According to the report, they also maintained his yard, replaced sod twice a year, installed artificial turf, and planted and removed shrubbery. They built a red‐wood garden fence, a flagstone court and sidewalks, and. a power window with sliding glass doors, it said. Originally, the investigation was assigned to the F.B.I. itself. But the bureau’s report was rejected as “incomplete and unsatisfactory” in January 1976 by Edward H. Levi, who was then Attorney General, and the task was turned over to Michael Shaheen; the head of the Justice Department’s Office of Professional Responsibility. Among the principal findings in the report was that a number of bureau officials, including Mr. Mohr, had showed “improper favoritism” in selecting the United States Recording Company to supply it with huge amounts of electrical equipment over the years. The officials had asserted that the nobid arrangement with the company was necessary because of the sensitive nature of the electronics equipment being purchased, but the report disputed this contention. The report concluded that Mr. Mohr, Mr. Callahan and others had improperly directed that money in several special funds be used for entertainment and “public relations” uses not permitted by department regulations. The only F.B.I. official still in the bureau who figures in the report is G. Speights McMichael, who formerly headed the bureau’s property procurement and management section. Although the report stressed that there was no evidence that he misused any funds for his own benefit, it maintained that he “failed to meet his responsibilities” by permitting higher‐ups to use moneys from one of the special funds in improper ways. 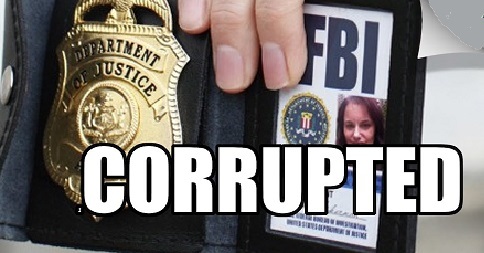 Corruption, F.B.I., FBI, Justice Department. Bookmark.